For most churches, services on Christmas Eve and Easter Sunday are the most attended of the year. While some of the less familiar worshipers may be visiting family for the weekend, many guests have come for different reasons. Some may be friends that members invited. Others may not have any ties to the congregation, but something they heard about the community or the service drew them. 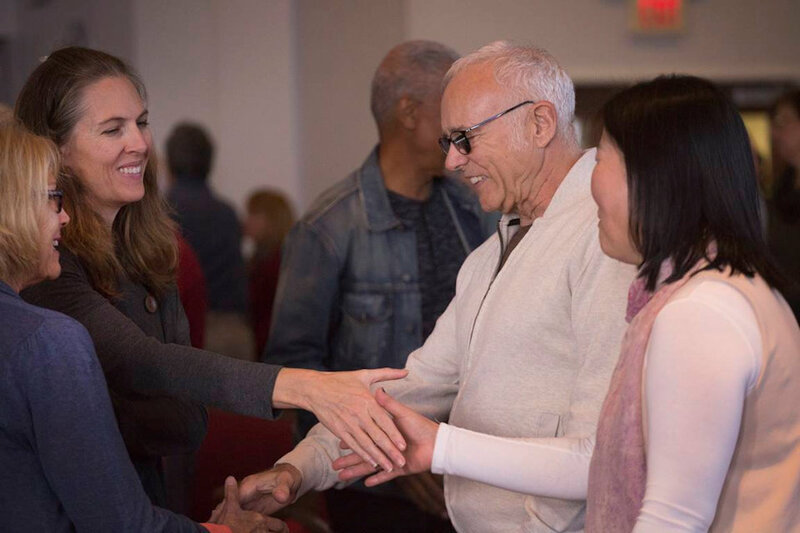 As congregations finalize arrangements for one of their biggest services of the year, leaders need to make sure plans for following up with guests are in place. Because the congregation may not see their faces other times in the year, it can be tempting to neglect basic practices of hospitality and evangelism. While you will want to follow many of the standard follow-up practices with Easter guests, you may need to make some adaptations both to accommodate the volume of guests and congregants’ other Easter celebrations. On Easter, it is more important than ever to have trained greeters in place to welcome guests at the door and to hand out visitor information cards. Plan to have more greeters than usual so no one is missed, and those with questions can be assisted. If you have an information center (or can create one for the weekend), be certain you have people who can both answer questions and clearly direct or accompany guests to places they need to go, such as the nursery. Pastors might also remind congregants before and during the service to extend a welcome to visitors, especially during the passing of the peace or greeting time. Encourage congregants who sit by or meet a visitor to introduce them to the pastor after the service. You may have to delay your post-service follow-up with guests a day or two if members and volunteers are entertaining or joining family or friends to continue the Easter celebration — but make certain it happens in the following week. ResourceUMC.org is a leader-focused website launched this month by United Methodist Communications. ResourceUMC.org is a centralized portal to equip United Methodist leaders across the globe with helpful information, tools and multilingual assets.